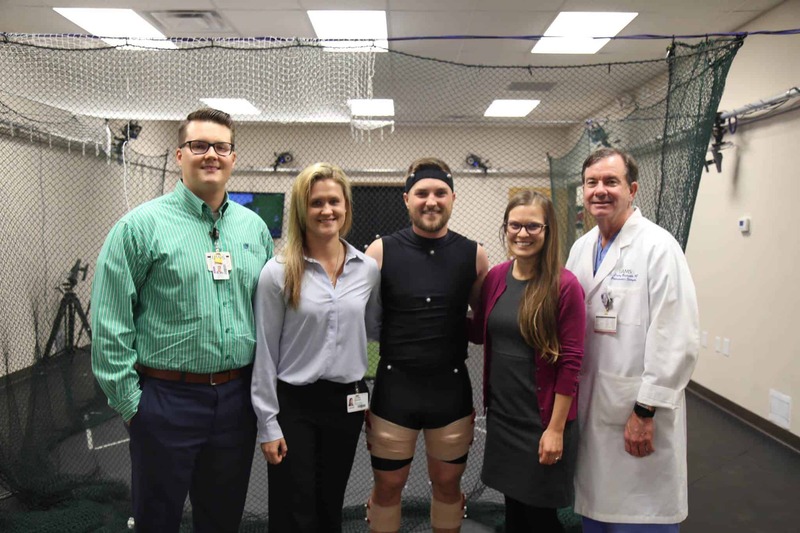 Members of the research team in the lab with pro golfer Austin Cook (center) and UAMS Orthopaedc Surgery chair Lowry Barnes, M.D. Jan. 14, 2019 | Standing in a long, rectangular room with his feet firmly planted on an artificial, green turf surrounded by a series of 10 different infrared motion-capture cameras, PGA golfer and Arkansas native Austin Cook aimed carefully with a driver as he prepared to send a golf ball flying from a tee into a net. Some 78 retro-reflective markers are attached to participants’ bodies to track them using infrared cameras. “I’ve never done anything like this before,” said Cook, a former Arkansas Razorback who is in his second year on the PGA tour, having won the RSM Tournament at Sea Island and qualified for the prestigious Masters in his first year. As of late December 2018, he was ranked 112 in the Official World Golf Rankings. Obviously, it wasn’t the golfing Cook was referring to. It was the 78 retro-reflective markers he had positioned all over his body, along with electromagnetic sensors taped to his legs that measured the electrical output of his quadriceps and hamstrings. Together, the instruments were being used to create a comprehensive, real-time picture of the motion and energy Cook used in each swing he took, information that is useful to UAMS researchers. 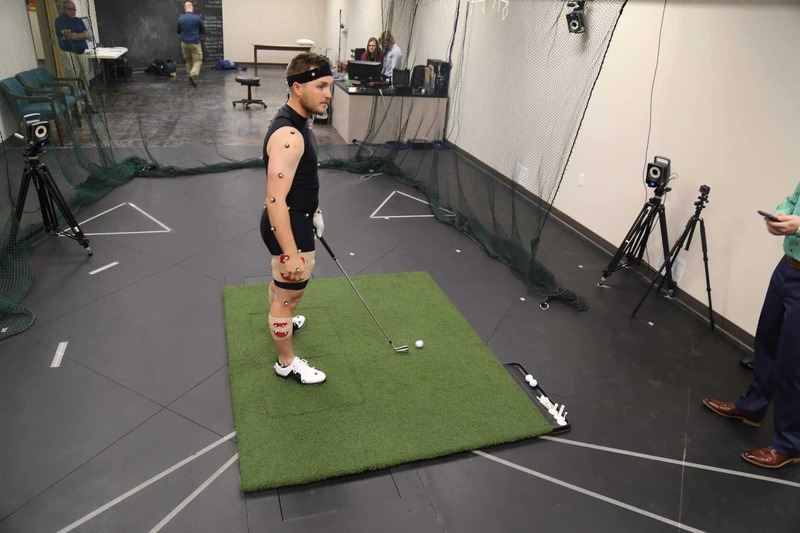 That’s why UAMS is recruiting golfers – and not just professionals – as well as surgery patients to study their movement patterns using the cameras and sensors. 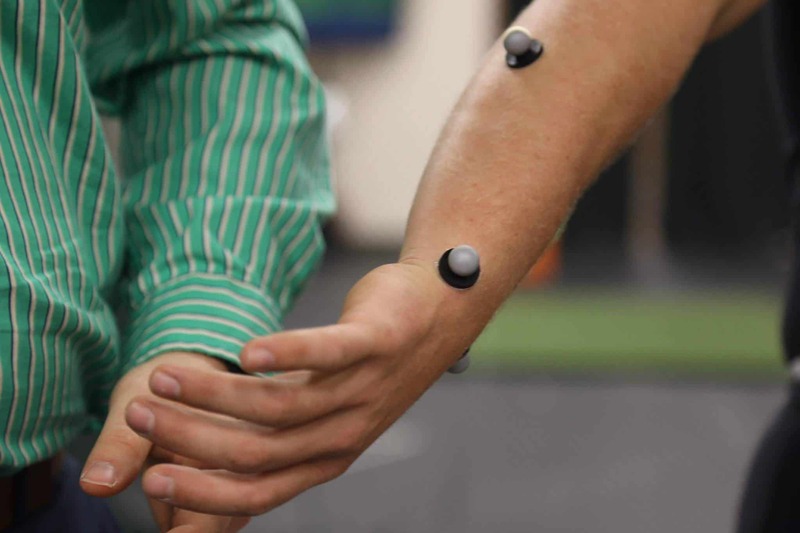 The hope is to find an optimal pattern of movement and muscle use in golf to prevent injury and improve performance. As a 27-year-old professional who works out three times a week and, by his own admission, has spent the past couple years paying a lot more attention to what he eats, Cook is an ideal candidate to provide a baseline of sorts, researchers said. Comparing the data captured in tracking his movements to those of a surgery patient and noting differences, for example, could provide valuable insight. 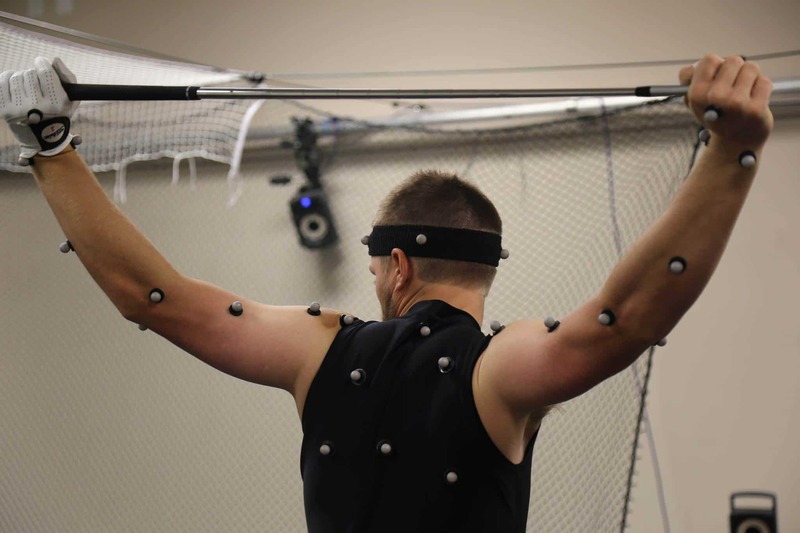 “Looking at our elite golfers like Austin Cook, his variability – which is the measure of how different one swing is from another – is like nothing we’ve ever seen. It’s almost zero. Every single one of his swings was almost exactly the same,” said Mannen. Of course, Cook said he was fascinated to see the report on his results himself. Golfers age 50 or older with a handicap of 15 or less interested in participating the study can call 501-246-4439. Potential participants must give their age, golf experience and any past surgeries they may have had. Those who meet study criteria will be invited to schedule an appointment at the study facilities in Little Rock.